The Painting & Decorating Association presents the Drill Bit Kit in the new ForgeFix design in its magazine "The Decorator". The Norwich based Eastern Daily Press presented the Drill Bit Kit in its "Beautiful Homes and Gardens" supplement this April. "Mattishall-based church maintenance company Irons and Stone Restoration has launched a new invention that makes one of the problems encountered when fixing into masonry a thing of the past. The idea was conceived when the team was working on a remote church deep in the Norfolk countryside - colour code all the parts so you always use the correct size drill bit for your wall plug. 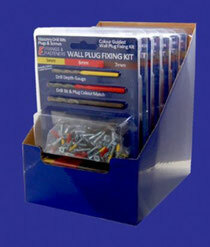 As well as being stocked locally by Roys of Wroxham and Uttings of Burnham Market, the Drill Bit Kit is available at Sainsbury's." Thanks for your ideas Will! 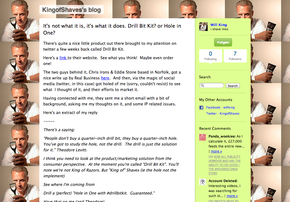 Read more in his blog post - and check out the King of Shaves website. 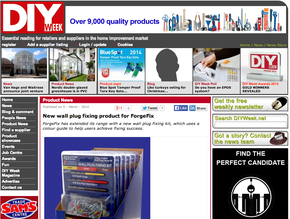 We're delighted to announce that the Drill Bit Kit is now being distributed by ForgeFix. 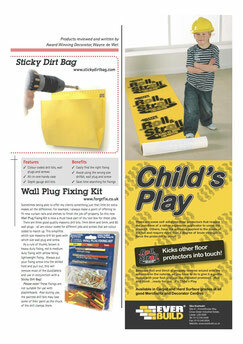 Read the full article in DIY Week. 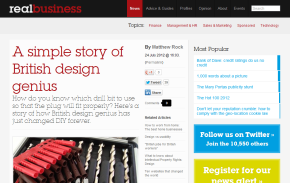 "Here's a story of how British design genius has just changed DIY forever." "A stroke of British inventive genius worthy of the greatest British designers." 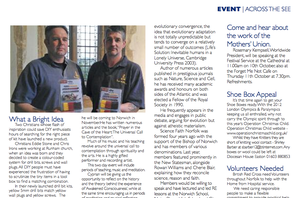 The Church of England's Diocese of Norwich magazine presents the Drill Bit Kit in its October issue.